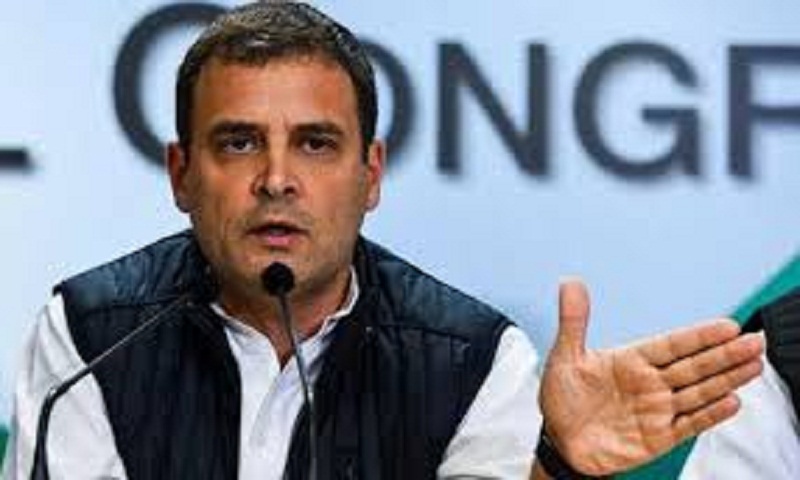 Congress president Rahul Gandhi on Saturday said that if the party is voted to power in the upcoming Lok Sabha elections, the next government would accord, by law, the status of ‘martyr’ to those paramilitary jawans, who lose their lives in the line of duty. Gandhi made the promise during his interaction with university students at the Jawaharlal Nehru Stadium in New Delhi. The issue was also highlighted by Rashtriya Janata Dal leader Tejashwi Yadav after the attack on the CRPF jawans. “The government, though, addresses the jawans of paramilitary forces (CRPF, BSF, ITBP etc) but does not accord the status of “shaheed” (martyr). We demand that the paramilitary jawans laying down their lives should get the status of martyrs and their families should get all the facilities,” Yadav had said a day after the Pulwama terror attack. The issue of granting the status of martyr to paramilitary soldiers has been a talking point in public in the aftermath of Pulwama terror attack. A CRPF convoy carrying more than 2,500 jawans was targeted by a suicide bomber on Jammu-Srinagar highway. Pakistan-based terror outfit Jaish-e-Mohammed claimed the responsibility for the attack. Gandhi spoke on various other issues including job creation, farm distress and social harmony. He blamed the Narendra Modi government for rising anger among people. The Congress president asserted that his party is trying to change the culture of politics in the country. “If you look at the history of this country, and look at the philosophy of Gandhi, Mahaveer, Buddha, Ashoka, they all preached love and non-violence. This was the same philosophy when I hugged Mr Modi, while he was abusing me and my family,” Gandhi said recalling the incident that took place in Parliament during the Monsoon Session last year. During his interaction, Shiksha: Dasha Aur Disha, Gandhi targeted the Modi government accusing it of working for “concentration of wealth” in the hands of “15-20 big businessmen” and ignoring important sectors like education and healthcare. He said the government must pay for a large part of the education of students.